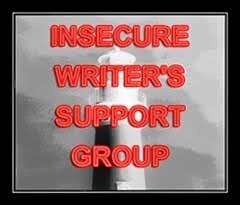 Eliza March Writes: It's Insecure Writer's Support Group Wednesday Again. Come see what's bothering me. Today I'm suffering from two insecurities, craft issues I think I need to work on. One is writing a good opening hook (and I guess I could use some help on closing hooks, too) and the second problem is making certain I have good META DATA (keywords) in the blurb and opening of the book to assist online searches bring the book to readers' attentions. I'm beginning to think I should stop reading so many articles and just focus on writing my books, the story, and characters. But opening hooks and closing hooks are critically important when you consider the number of available books out there. If your book is fortunate enough to grab a reader's attention, the trick is to hold him. Closing chapter hooks segue the reader's interest to the next and the next. Do not let him go until he's so wrapped up in the story he can't put it down, and if he does...make sure he can't stop thinking about it. The characters must be worthy of his concern, disdain, and/or empathy. Build a relationship so the reader can't wait to pick it back up again, finish, and then read your next book. But in addition to the opening hook, inside every book there's an opening promise. The genre, the voice, the mood, the pace. The author has a promise to fulfill once the reader commits. So if it's love at first sight between the reader and your book, make sure the romance lasts beyond the first initial spark. Ignite the flames that keep the interest burning long into the story once the reader has developed a relationship with the characters and long after the reader has developed a vested interest in the characters and plot. The other concern for authors today is how to get their books in front of readers. Keywords and meta data are supposed to help, but it seems difficult to get a good explanation about what works and what doesn't. The sheer volumes of books in the marketplace are a daunting concern. When I sell my books, I try to analyze what I did right that led to those sales. I think, as a self-pubbed author, that kind of analysis might be worthless. If someone has the answer let me know, because I'm baffled. Besides writing, I've been working as editor for eight years. (Two of my authors are NY Times best selling authors.) I contract/edit for a small press. After reading thousands of books, I can tell you there are great books out there that never get the kind of sales or attention they deserve. They are not boring or poorly written; they're awesome. It saddens me to know so many readers are not getting a chance to read those books because they are buried beneath an avalanche of new releases every day, and some computer meta data is deciding where to place those books on a search engine. Lightning strikes happen. People win the lotto. Some good books get discovered. Be prepared. After we've written the best book possible, and lightning strikes, get ready for what comes next. In the mean time, what can we do to make sure lightning strikes our book? "The sheer volumes of books in the marketplace are a daunting concern." Now you have me worried about my hooks. There are some really amazing books out there that just never find the audience they deserve. Christine Rains above me is an author that deserves a bigger audience.